Adding some artistic college items to your wall decor for college is always a nice way to give your dorm a more refined look. 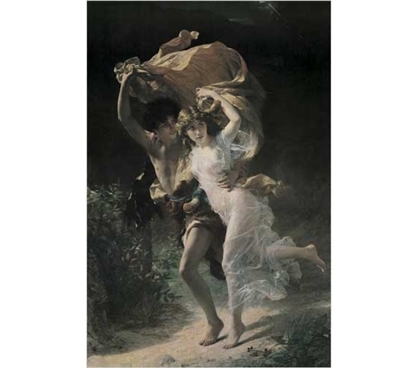 When you're on the lookout for posters for college, consider too that art posters like this The Storm - Cot, Pierre-Auguste Poster won't go out of fashion. Can that be said for a poster of your favorite band if they're not considered a classic band? Perhaps not. This cheap poster will give your dorm room decor a unique and timeless touch.